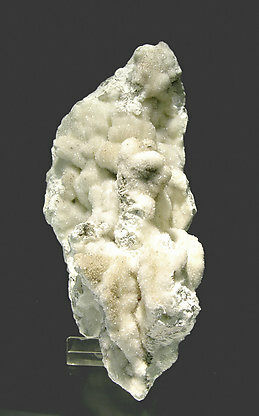 A very esthetic botryoidal aggregate, in which Hydrozincite also forms thin acicular crystals, which are rare. There are small black Plattnerite crystals spread on the specimen. The sample has an intense fluorescence under a violet light.